We had a great time helping out at the Salvation Army on Friday! It was fun to learn about and be a part of how the program works behind the scenes. Plus...we look pretty good in the aprons! 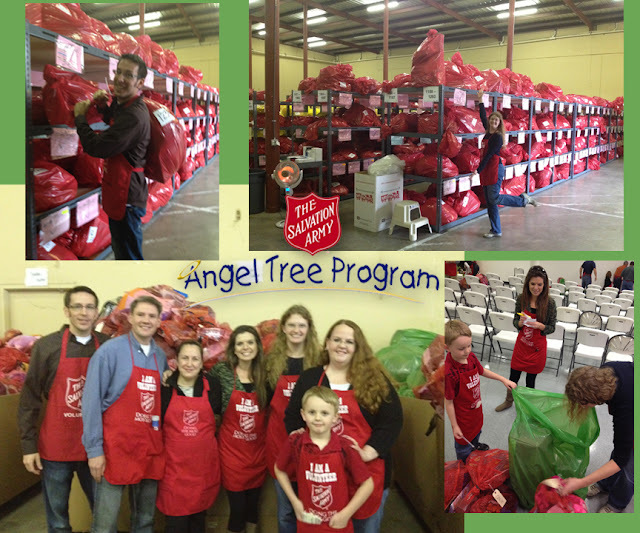 This year we are participating in the Salvation Army's Angel Tree program! 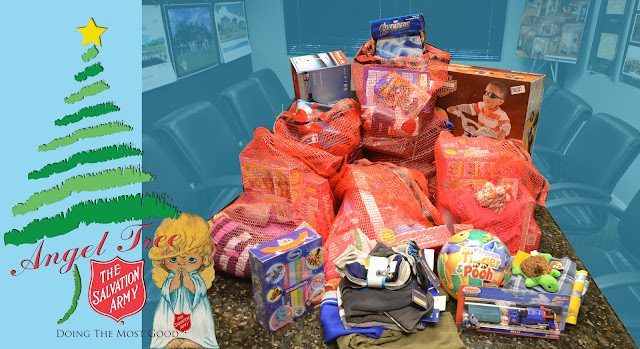 We purchased gifts children who would not otherwise have much under their tree at Christmas this year. We will be delivering them today and volunteering at the Salvation Army to help organize, label and prepare gifts for distribution to the families next week! It is such an amazing program, and we are excited to be a part of it this year. What an awesome reminder of what Christmas is really about!